Yes, we have be quietly observing the many "Leaders" of our cause. My personal opinion is that we have done just as the NFL had hoped we would do. Divided into groups and fought amoungst ourselves. We are trying to stay positive in our comments now adays. Not because we have chosen a "side", but because we can only get what we want by a total group effort without individuals in our groups attacking each other when we attempt to communicate our causes and opinions via public hearing, websites and conferences. 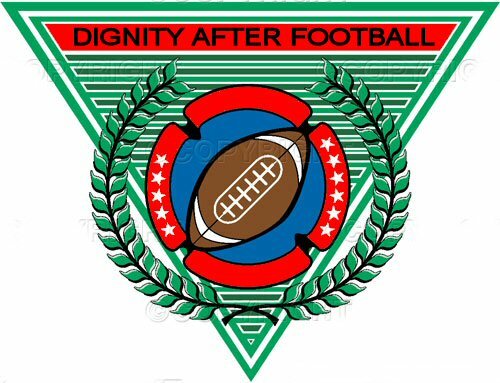 We, retired NFL players and families, should assure that every effort on any retired player group's endevor be absolutely sucessful and fully supported, whether or not we agree with thier approach or opinions. NFL players are civilized and should conduct thier behavior in ways where we do not attack a persons character for their efforts to help the cause. Did we forget what the cause was! Lifetime medical for obvious reasons. Access to disability payments when needed - correct the process. Across the board royalties from the teams that were played for. Retired player representation and vote to an NFL retired players union. We must rember that football is a unique sport. For most our guys it is too late to change the rules to protect the players, or modify euipment or fields to prevent long term injuries. All other professional sports result in less immediate and long term physical harm. Brent, again thank you for the shout out. We also love and miss all of you guys and only hope for success and long functinal lives for all of the Retired/Former National Football League players. "We're pulllin camp now"
P.S. They are talking about giving payments and salaries to college basketball and football players. The coaches are against it because they might have to share thier million dollar salaries. etter written by a BRILLIANT woman and terrific therapist, Terry.Terry is committed to help us at DIGNITY AFTEROTBALL.is is a message for us macho men, for our wives, mothers, sisters, children...there is plenty of heali that needs to occur, whether Goodell or Upshaw do anything or not...this letter , we hope, will help kick off the wives/families blogs, and also it is a message each player needs to read and examine himself. (c) 2007-2011 Dignity After Football. All rights reserved.